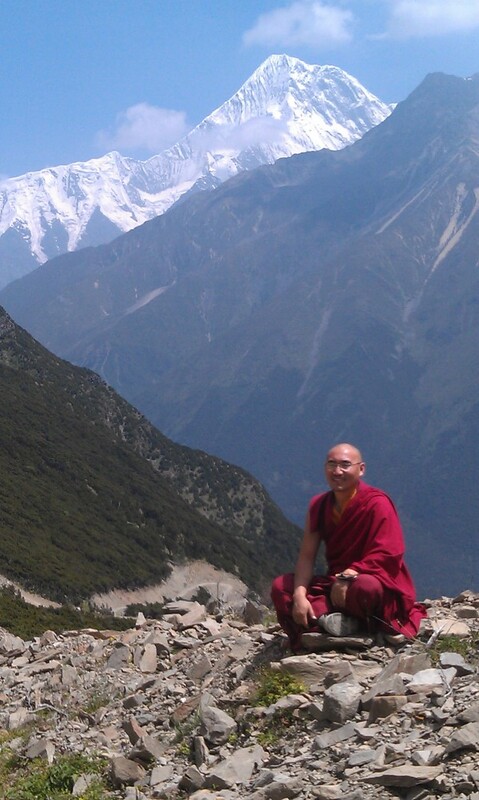 I recently returned from an extraordinary trip to China and Tibet with our spiritual friend, Lama Phurbu Tashi Rinpoche. 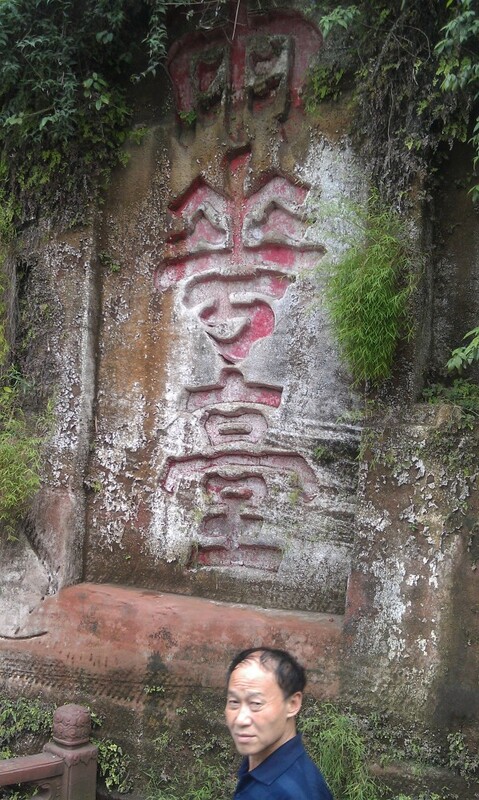 Our traveling group consisted of 13 people; 3 Americans, 9 Indonesians, and Rinpoche. 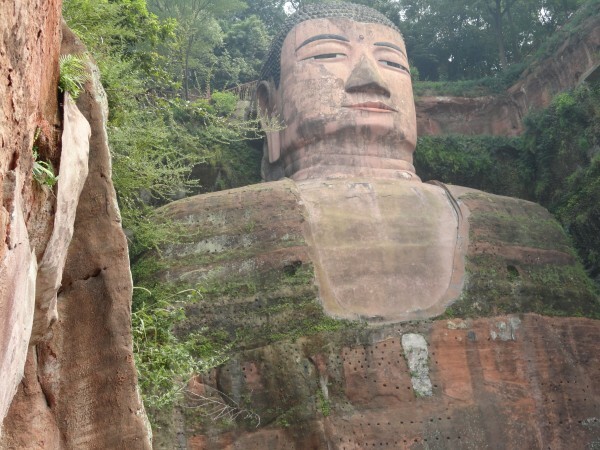 We all met up in Chengdu, a large ancient and at the same time, modern city in western China where we spent a couple of days before traveling to Kangding, the gateway town to eastern Tibet. 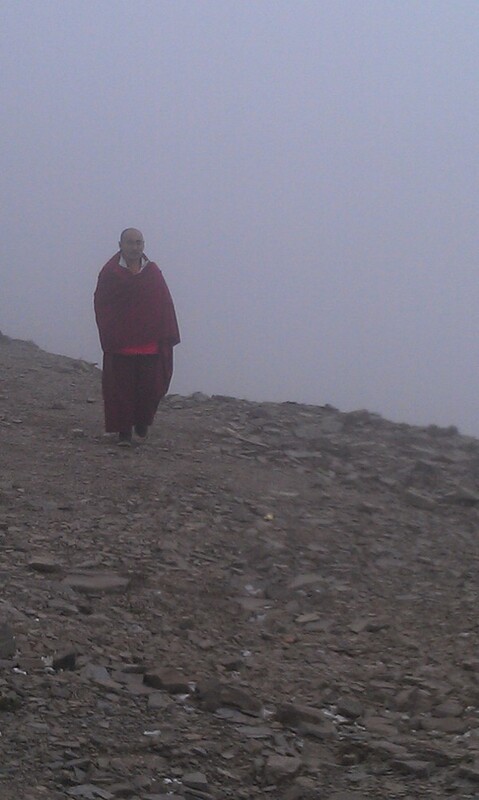 Lama, always generous with his time and energy, became our guide throughout our journey in Tibet. Friends and members of Lama’s family met us there where we enjoyed great Tibetan food and hospitality. We spent time at a hot mineral spring outside of town and visited a temple/monastery complex at the top of of a nearby mountain. 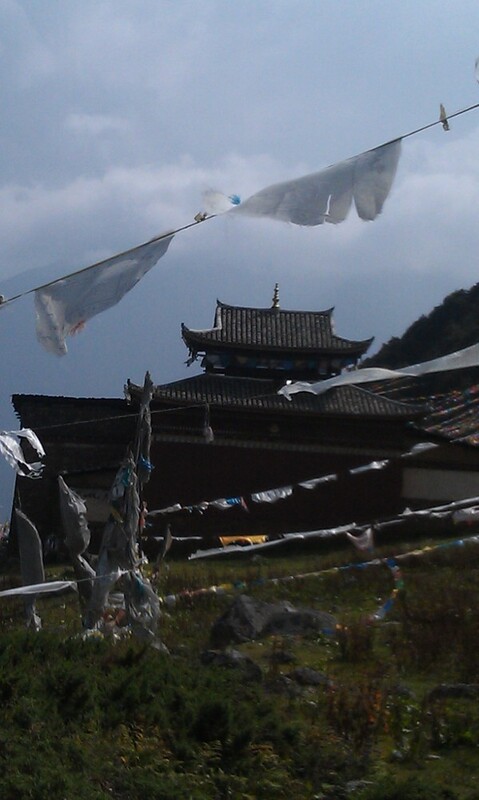 Temples, shrines, stupas, sacred images, and countless prayer flags were everywhere. Our Tibetan drivers, from Lama’s hometown Luba, carried our group over the mountains and through the incredibly beautiful landscape to Rinpoche’s town where we were greeted with much fanfare and kindness. 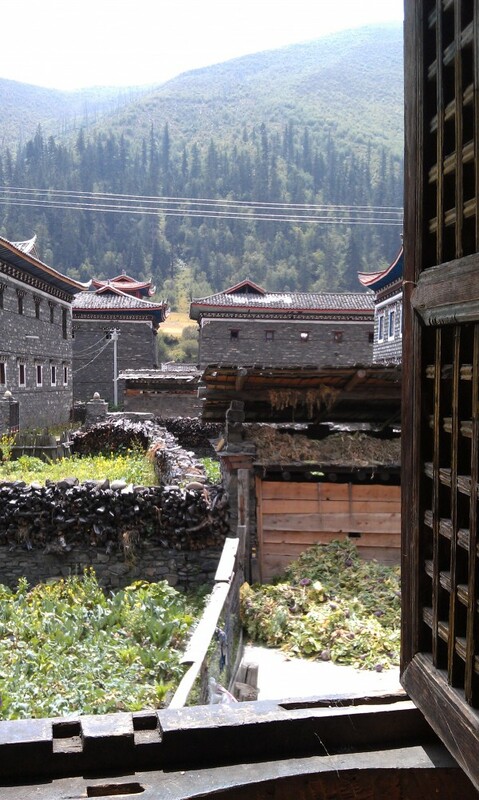 We stayed with Lama’s brothers’ families in their homes, which are very sturdily constructed, large stone houses, three stories high. The ground level floors contain mostly farming equipment. Everyone lives on the second and third floors. These houses are quite stunning with corners that arch upward. 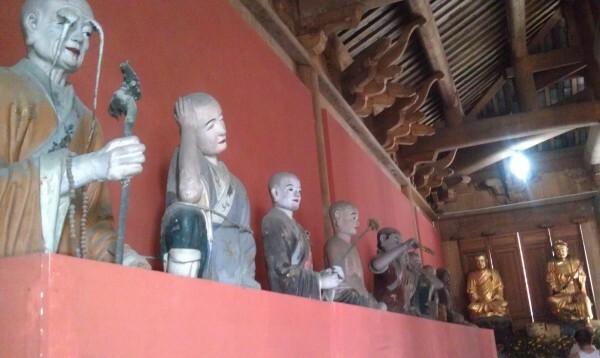 The interiors are finished in very fine woodwork and the walls are covered in carved and painted wooden panels which depict Dharma symbols and the Tibetan zodiac. All of the families in Luba grow barley, which is the Tibetan grain staple and we were there during the annual harvest of this very important crop. The barley is stored in family graineries where it is consumed throughout the rest of the year. Word that Rinpoche was visiting spread rapidly throughout the valley and virtually everyone within miles of Luba came to pay their respects to Lama and to receive his blessings. Lama gave the Medicine Buddha empowerment in a neighbor’s large living room and pretty much the entire village came to take part in it. It was very clear that Rinpoche is very precious to these very humble, devout, and generous people who hold him and the Dharma in their hearts. 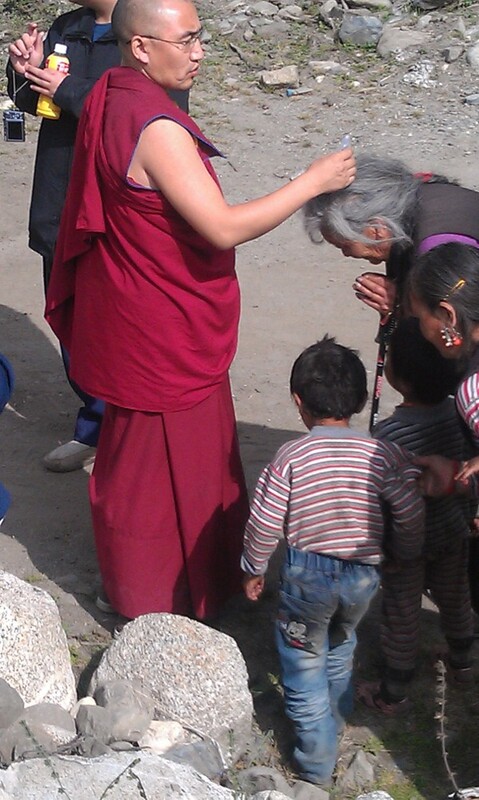 There was a constant stream of people who showed up at Lama’s home to visit and spend time with their Dharma teacher. high up on the slopes of Gonggar San, the highest mountain in eastern Tibet at almost 26,000 ft high. This small retreat center/monastery is situated at about 15,000 ft high and commands a spectacular view of the mountain and the glaciers that come off of it. The hike to the monastery challenged most of us as it took about 4 hours of hiking up very steep terrain to reach the gompa. 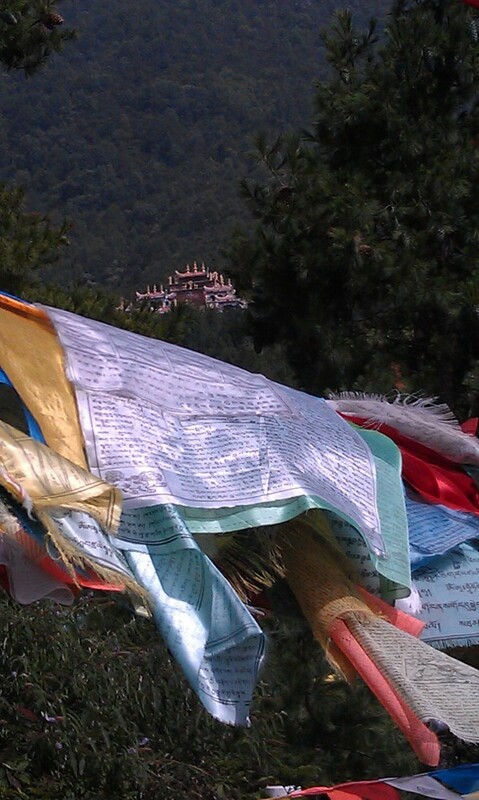 The monastery here was founded about 600 years ago by the first Gonggar Rinpoche and is an incredibly sacred site with many self-arisen manifestations in the surrounding rocks. The beauty of this area almost defies description. 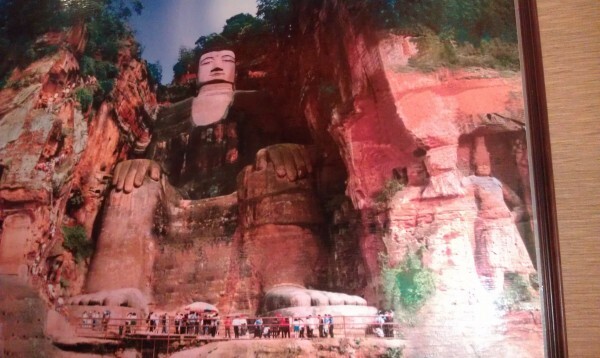 It is one of the wonders of the world! 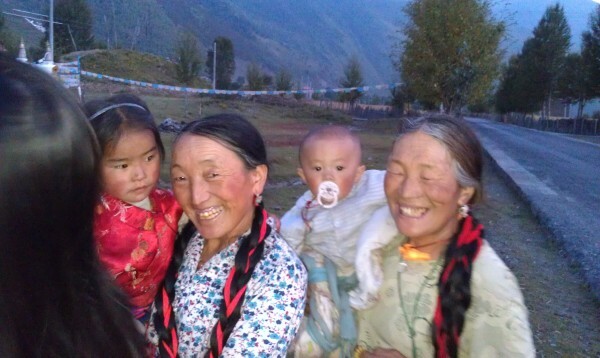 After Gonggar, we traveled back to Luba, Rinpoche’s village, and explored the surrounding countryside. 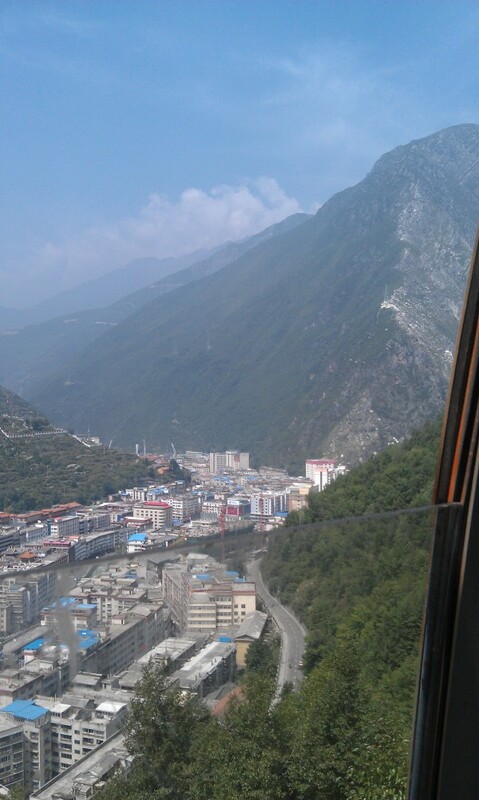 We eventually made our way back to Kangding then on to Chengdu, where we stayed in the Tibetan quarter of the city for several days. An incredible and extraordinary journey indeed!